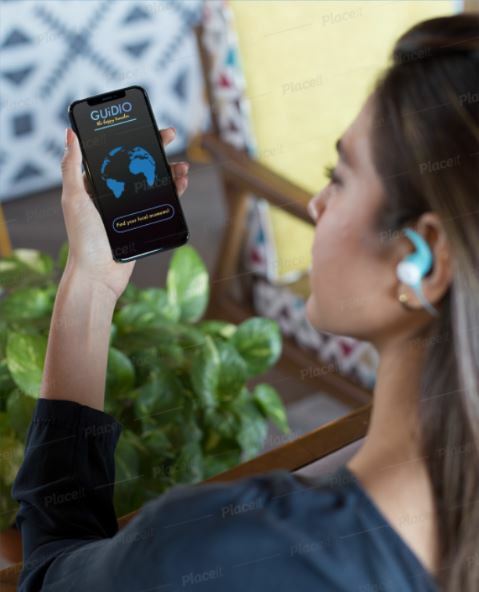 Though we had a couple different initial ideas, our shared experience of traveling + study away semesters helped us arrive at the idea of GUiDIO, a free, downloadable audio guide app for museums and historic sites around the world. 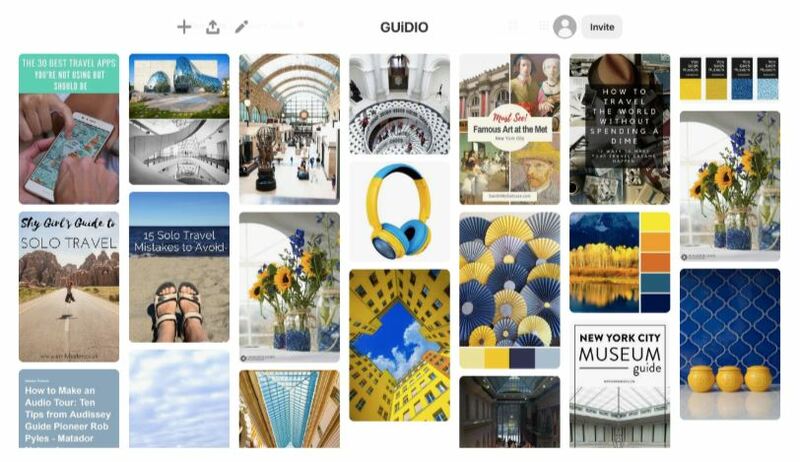 The idea behind GUiDIO is to offer a cheaper, more interesting alternative to those travelers who may not understand exactly what they’re looking at. Not only that, but with GUiDIO being used via smartphone and the user’s headphones, there’s no worrying about the clunky devices you get at museums normally, sanitation, and returning equipment. 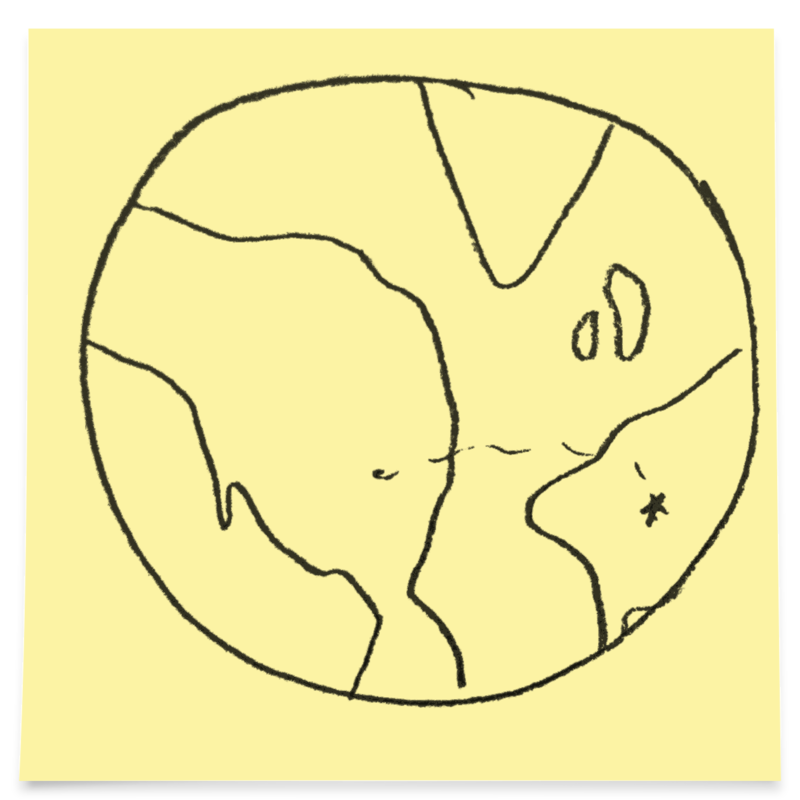 This is our map for the app. 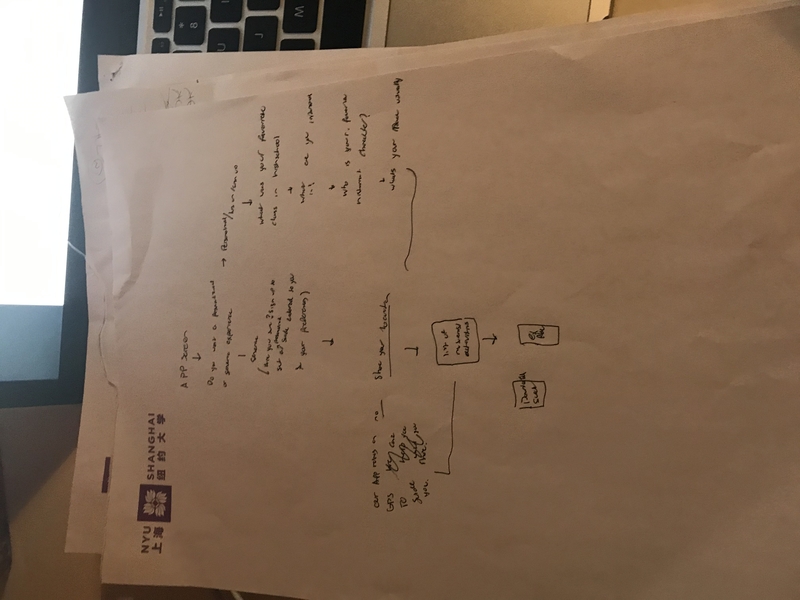 As you can see, there’s a lot of emphasis on making the app convenient for travelers, and we wanted to make it a smartphone app so it would be easily accessible on the go. Our target demographic is millennials who love to travel, but simply don’t have the budget to afford the luxury amenities like a personal guide or tour group. 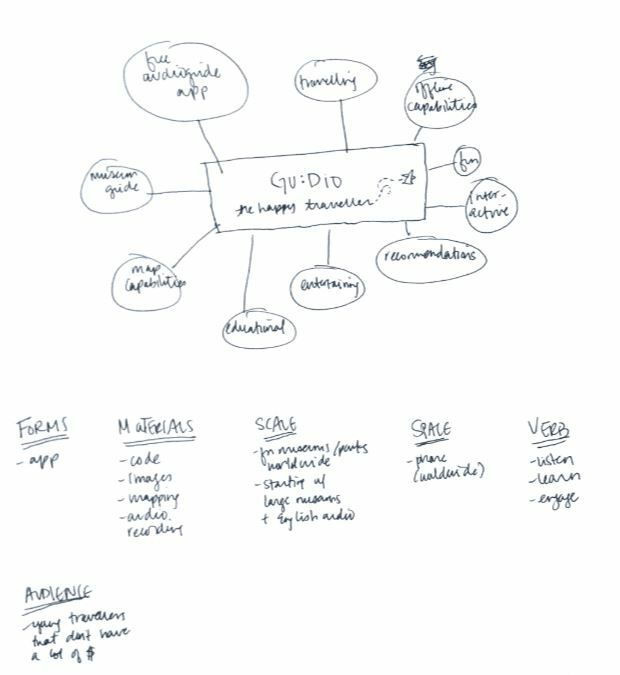 Our app offers not only a personalized go at your own pace service, but it allows the user to dive into deeper topics they are interested in. Next we began creating our storyboard for the app. 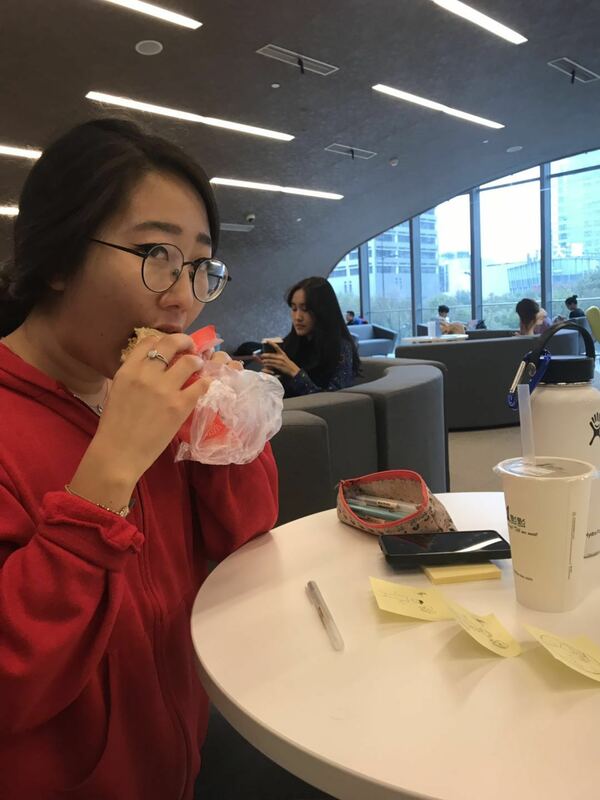 This was from our breakfast meeting at school to finish up the work we started in class! 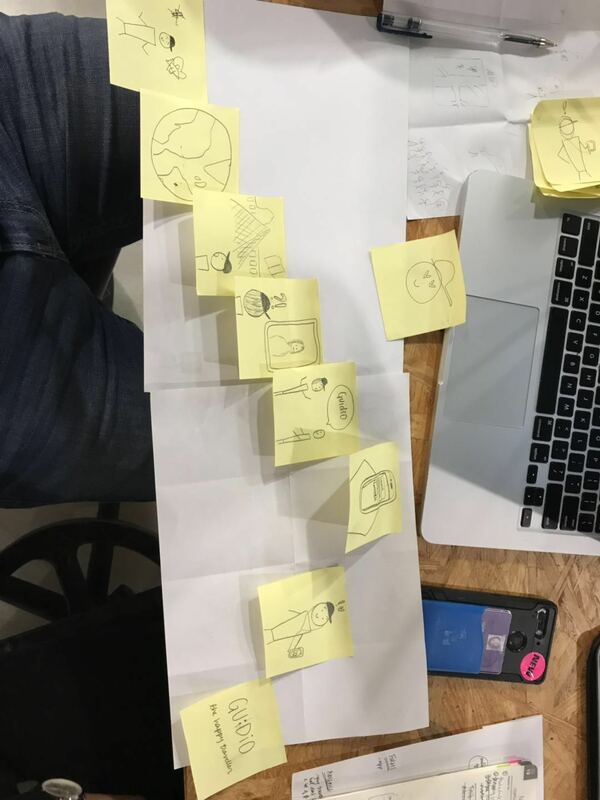 Using post it notes, we created a story for our app. 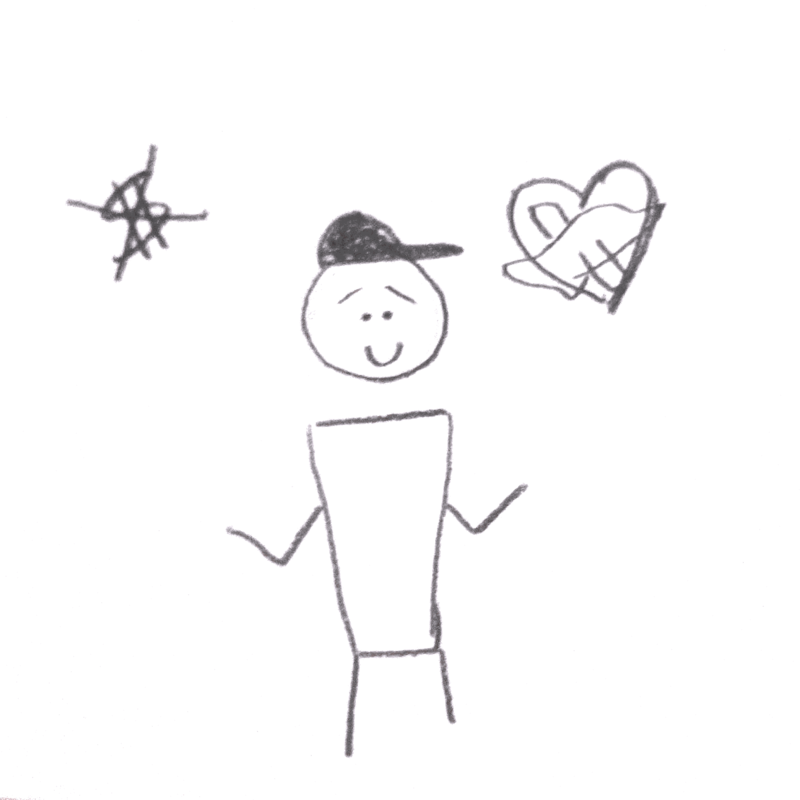 We had a rough idea of what we wanted to portray, and after a couple of different version and sketches we had something we were proud of. We also used the app Evernote to organize our work. Below are photos taken with the app of each individual step. 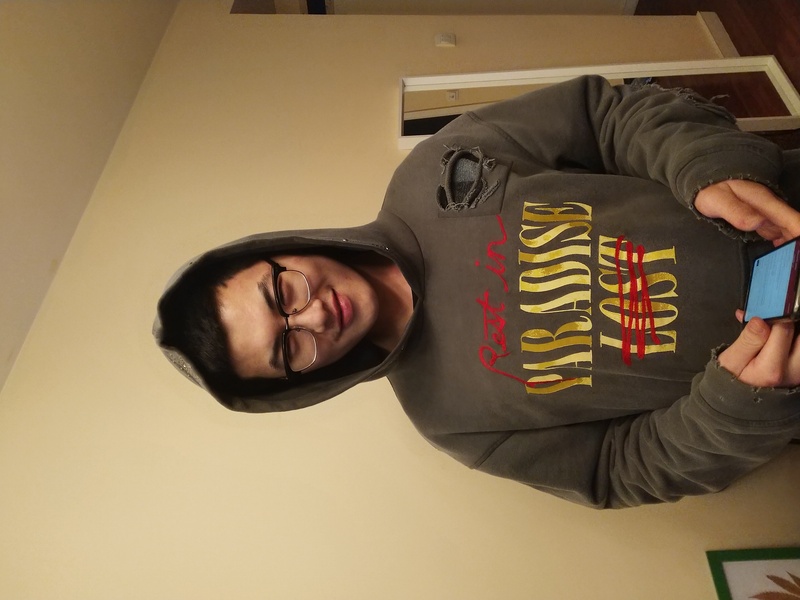 This is our traveller Kevin. He’s a student on a budget, but excited to spend some time in Europe! He starts off his trip in France. He’s excited to see what this new country and culture have to offer. 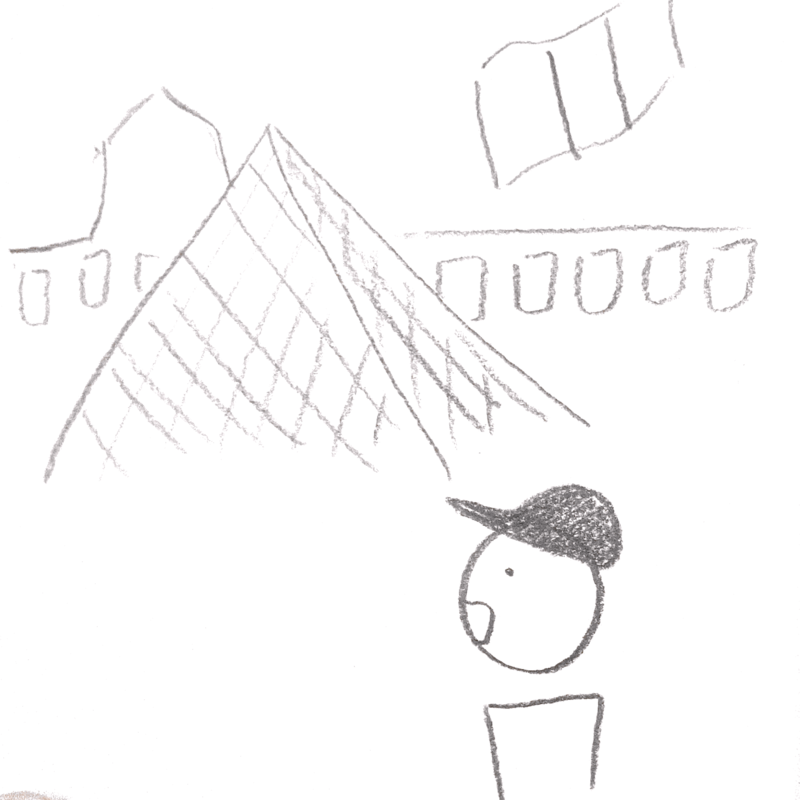 He arrives at the Louvre Museum and is amazed by the beauty! However, he quickly realizes that it’s a huge museum, and without the money for private tours or guides he’s lost and confused! 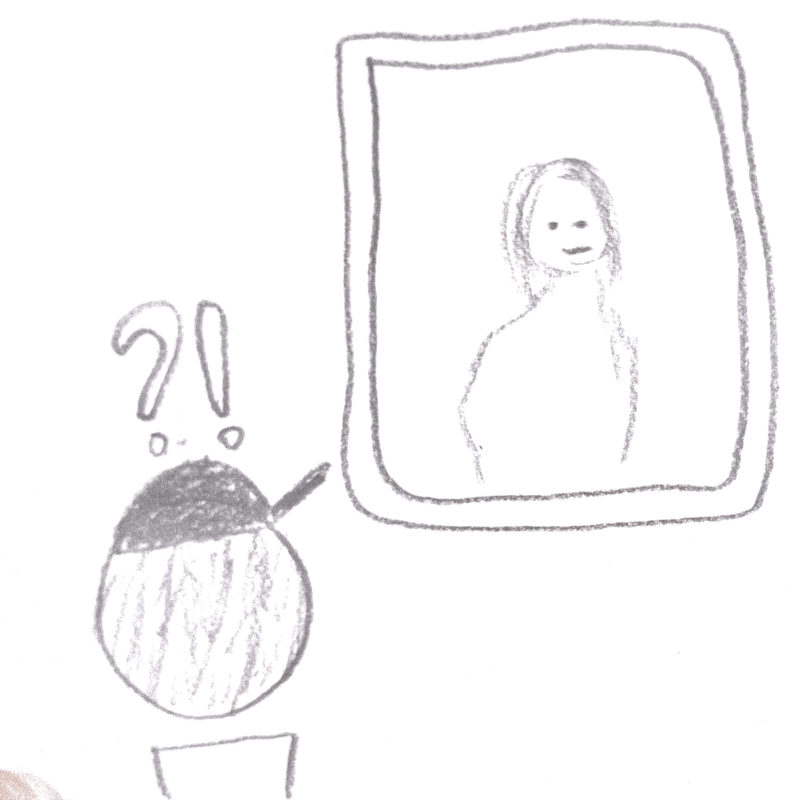 He visits the Mona Lisa knowing it’s famous, but doesn’t understand any of the history or background. 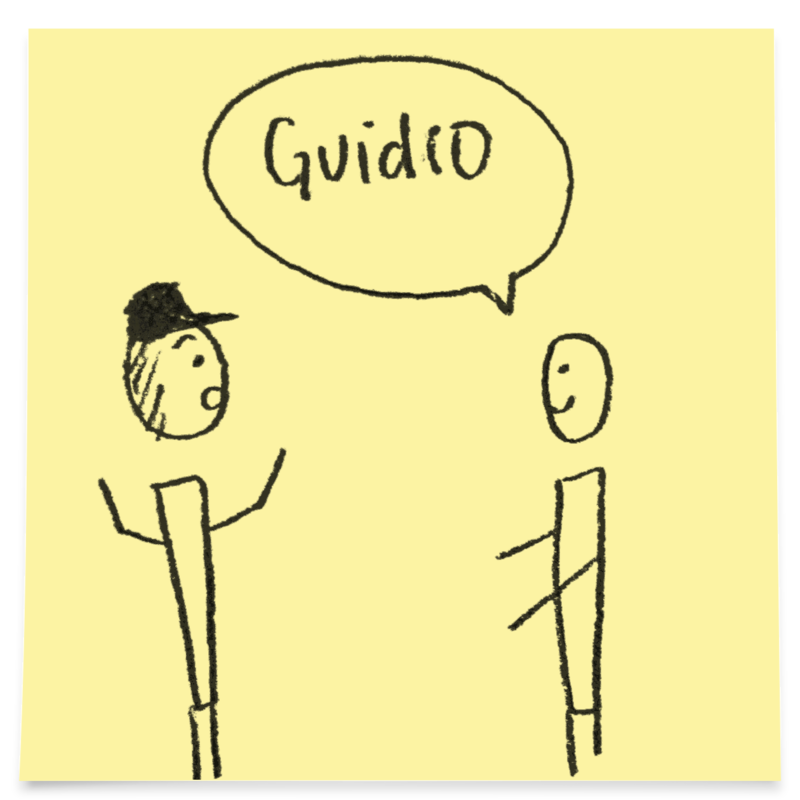 Soon, however, he talks to another traveller, who tells him about GUiDIO, a free audio guide app tailored for each individual! 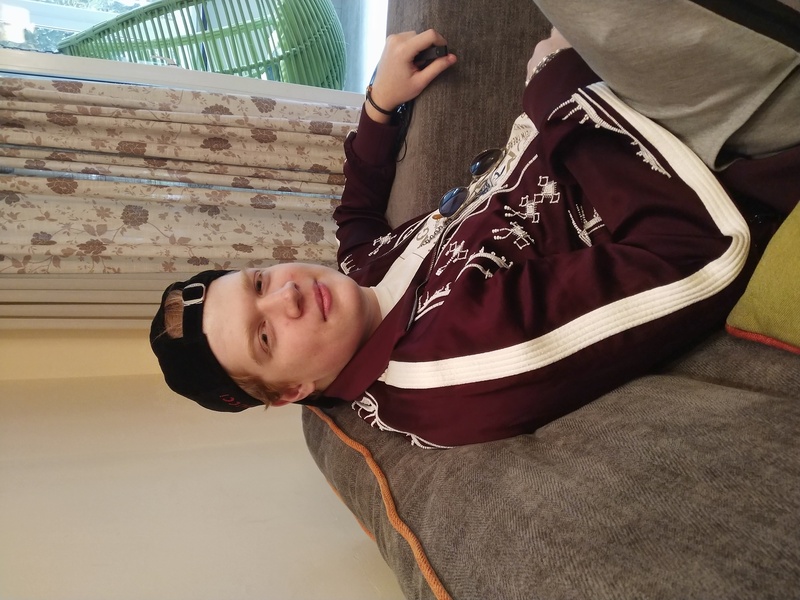 This is our Aha moment, as not only does Kevin find the solution to his travelling problems, but word of mouth and testimonials are important parts of spreading the word about GUiDIO. 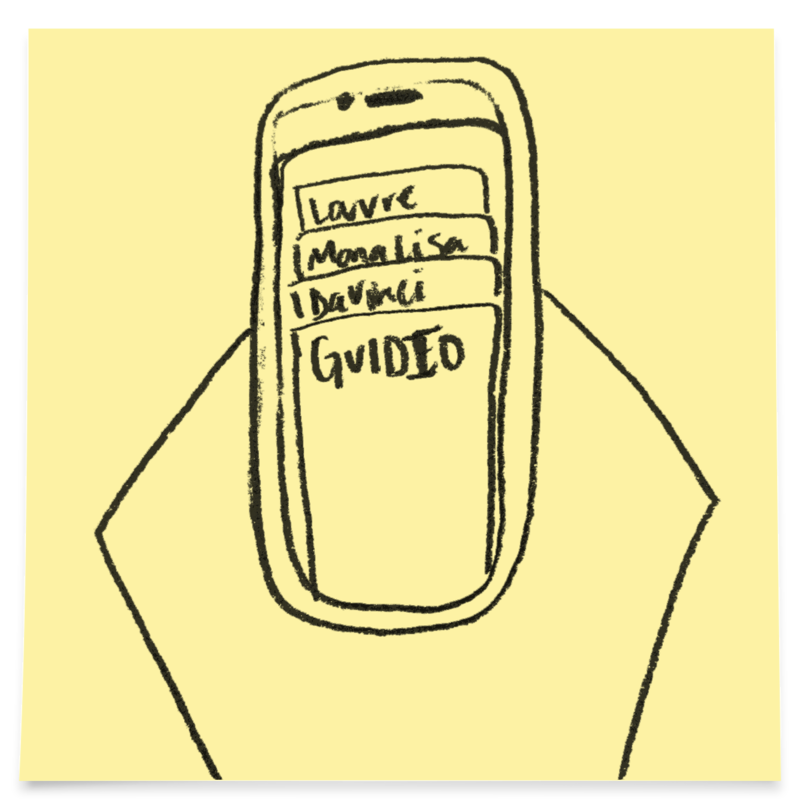 He quickly gets his phone out- previously filled with frantic searches trying to figure out what he was looking at- and eagerly downloads GUiDIO. He continues to walk through the museum, GUiDIO conveniently giving him background, history, and context in a fun, easy to understand way. He uses the app for the rest of the trip, and tells all his friends about it, too. 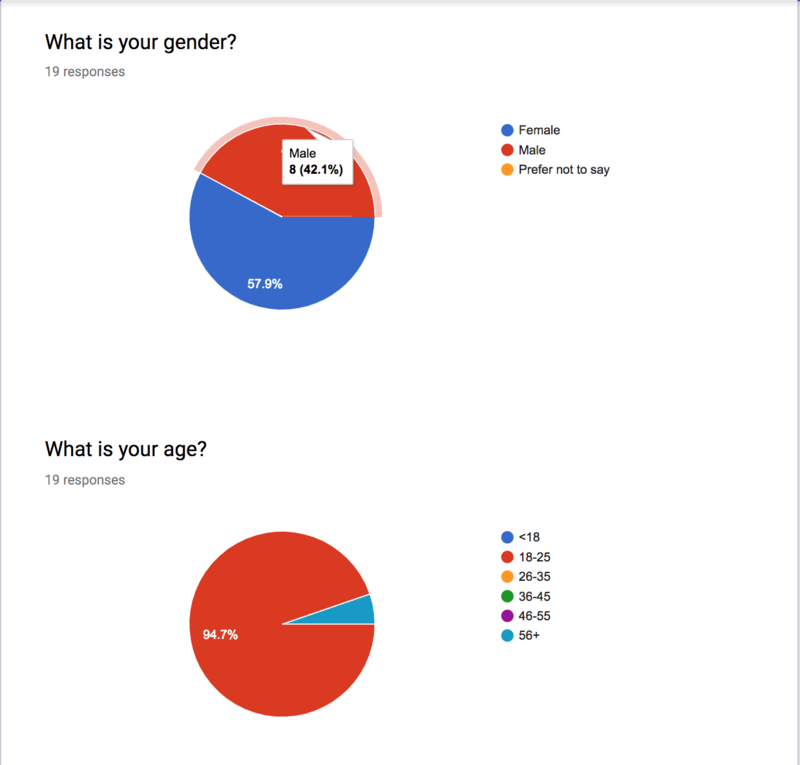 Create a survey and separate the questions into two categories. One for Quantitative data or numerical data them demonstrates the who, what, when, and where. The other for Qualitative data, which is non numerical data that shows you the why and how. Interview people to get more qualitative research. 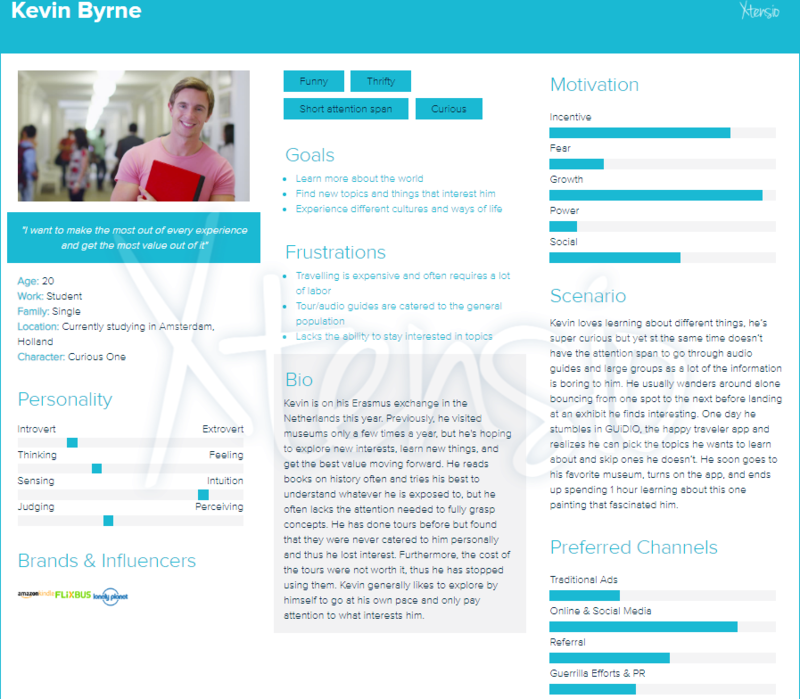 Create personas of who we believe our users are. What type of museum do you usually go to (check all that apply)? If yes, what did you like about the experience? If yes, what did you dislike about the experience? 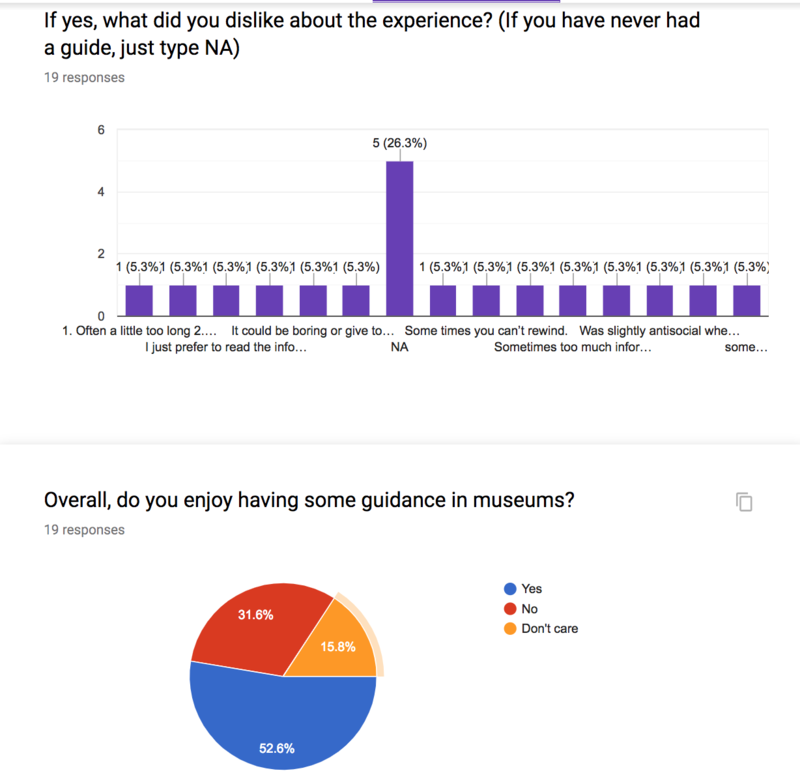 Overall, do you enjoy having some guidance in museums? 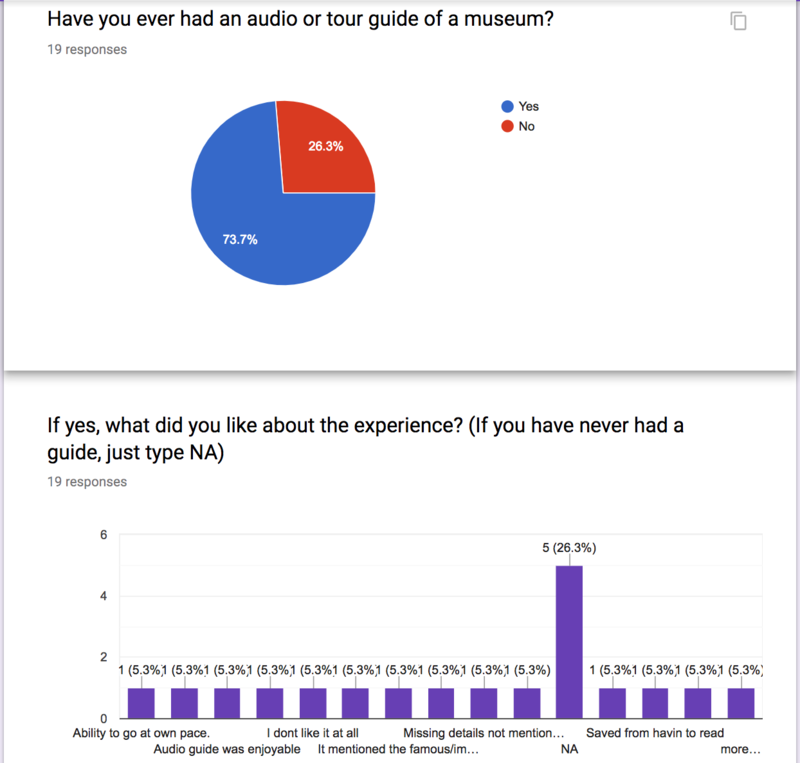 We found that the most noteworthy results were that most students do go to museums multiple times a year and were interested in using an audioguide app like GUiDIO, also that people liked having guidance in museums but sometimes found the provided options boring, technical, and clunky. 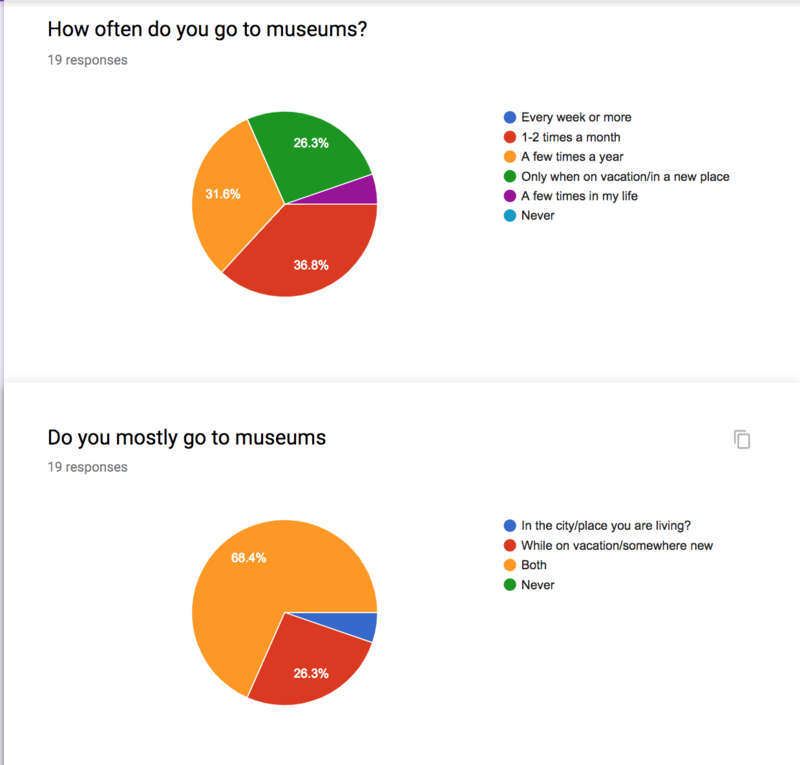 How often do you go to museums? How often do you travel? What type of museums do you go to? 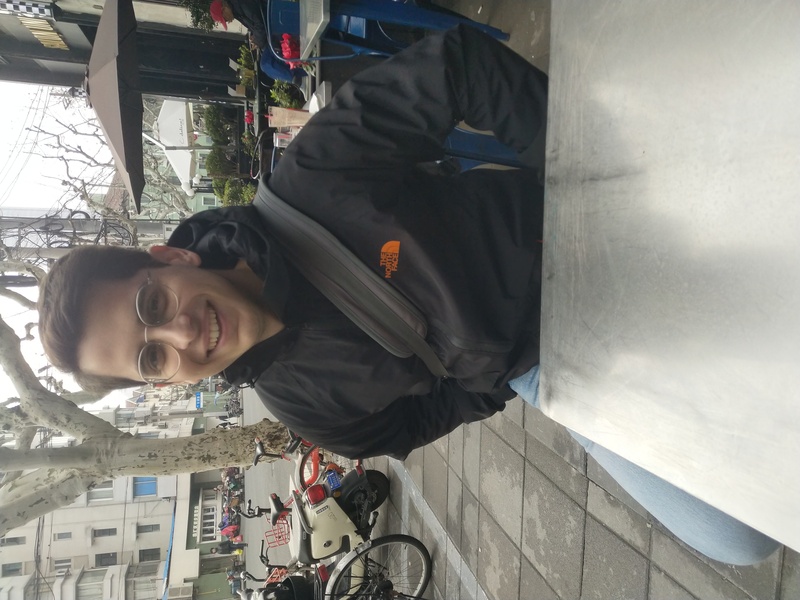 In Shanghai, or the place that I’m living long term, I’m usually more interested in art or culture…. Especially if they’re pop up museums, just to see something new. But if I’m traveling, I’m more interested in the history, but I’m also open to famous art museum? Have you ever had an audio/tour guide in a museum? Did you find it helpful? Why or why not? Yes, not always, but there have times where I have opted to … partake. Do you think audio/tour guides are helpful in general (even if you don’t use them)? Why or why not? What aspects are most important to you in an audio/tour guide? If you have limited time, you’re getting a lot of engagement, a tour guide is friendly, makes it less complex, like an expedited cliff notes version where you can get to know quickly, and in a much more friendly manner what sites you should see…. It’s a lot easier than having a monotone voice, going on fora long time, and reading off the walls. I think that was the biggest take away for me. And sometimes I’ve had a couple experiences where the tour guides have shown me secret places and stuff. You just gotta be lucky. If there was a free audio guide app on your phone would you use it? Why or why not? Are there any features you can think of that you’d want? What is your name, age, and occupation? I think once or twice a month, maybe, but I only go to things that interest me. I like history museums a lot, talk about specific topics, I usually don’t go to random museums just to see like art. If it’s not a specific event I usually don’t go. Sometimes I do. 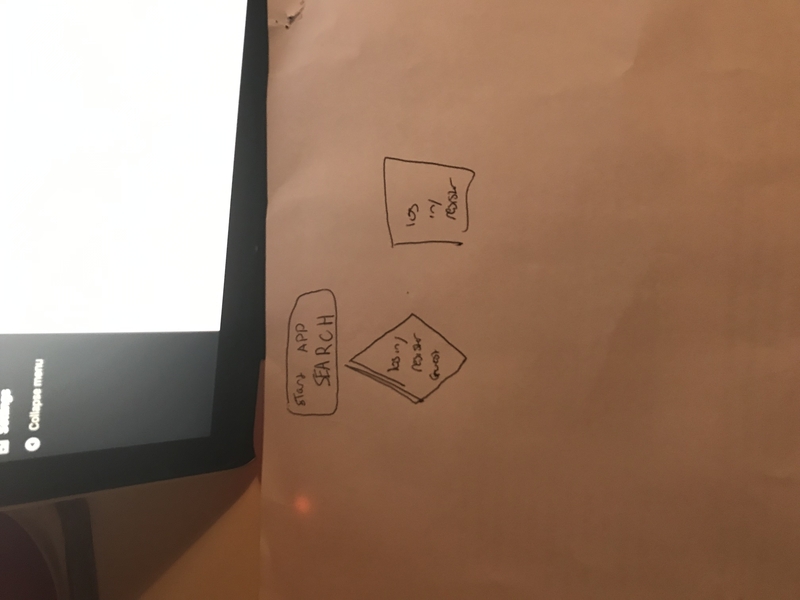 I find them helpful if they have like preset tours where they tell you where to move around, especially if it’s a big museum, I don’t find them useful if you just have to walk around and whenever you are in front of something you press something. 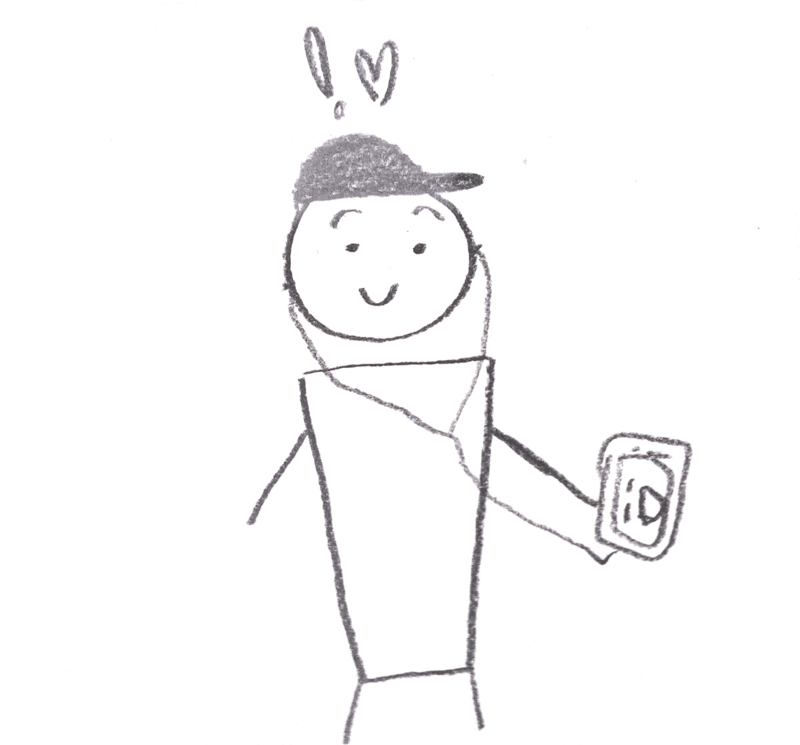 [I like when] they recommend you, give you directions. I like when they recommend you and also when they have different tours for different interests and also when they have tours that explore, like particular aspects of the museum, particular artists, when there’s a theme behind what I’m doing. 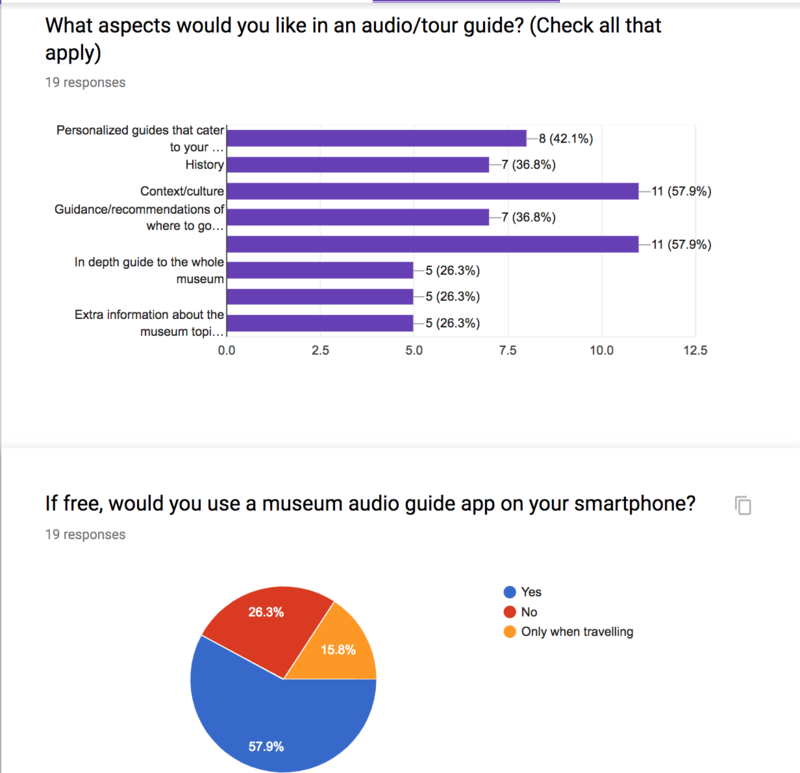 How often do you use audio guides at museums? Usually depends if it’s included in the ticket or not. Have you ever paid for an audio guide? Yeah, I would definitely use it. I mean, if it needs internet access, I don’t know if I would use it. But yeah I would definitely use it, it’s comfortable it’s on your phone, you can hear it just with your headphones. I don’t think so unless… unless you’re actually disabled it might come in handy. No i still don’t think it’s useful. Cause if you know about all the art pieces… if you know about it, you already know about it. I’ve never used one in my life. When I see people walking around with audio sets I thought it was kind of dumb. Probably recs on what to see in the museum and brief summary about, in this case, artwork and the artist. Something like that. Interactive. I guess that’s about it. Otherwise museums is just walking around. 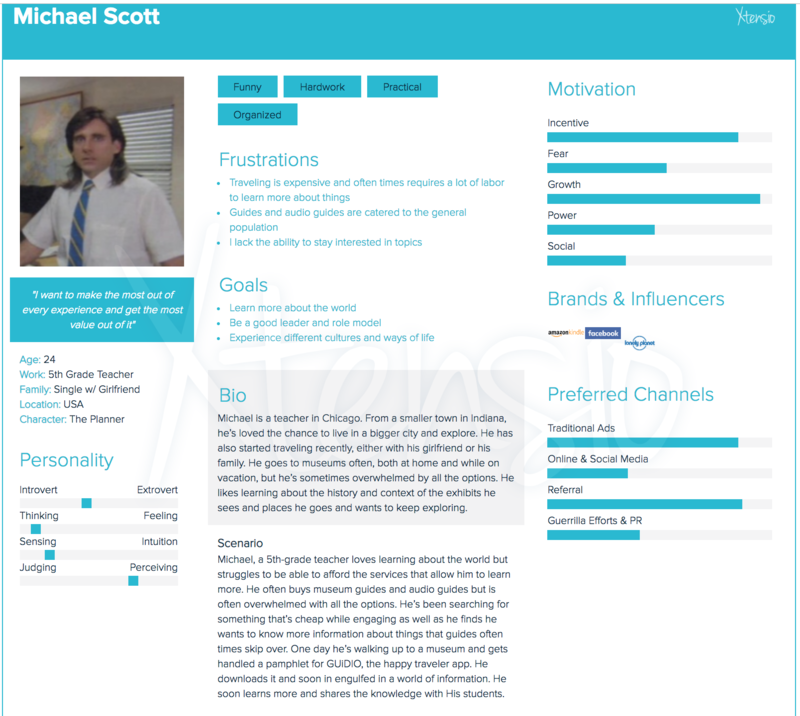 Michael Scott is our first character persona. He’s a single, 24 year old teacher who loves to go to museums and learn, but he’s often overwhelmed with all the options and so doesn’t do it as much as he would like to. Next is Rose Smith, our oldest persona She’s 28 and recently unemployed, preparing for a two month long trip around the world. She was interested in museums growing up, but doesn’t go them often, but plans to on her upcoming vacation. 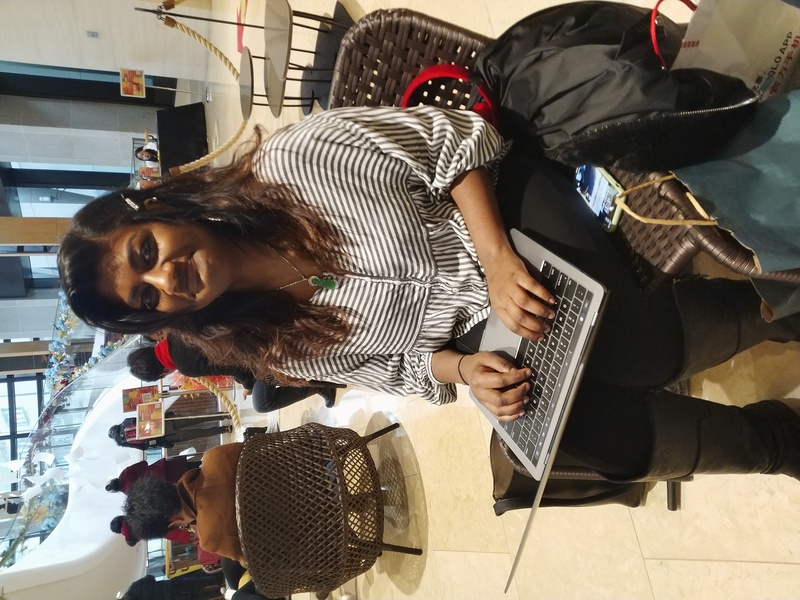 Jenny Martin is a student who doesn’t often go to museums, however, she is on her study away semester and plans to start. Kevin Byrne is also a student. He reads a lot but doesn’t go to museums often. However, he is hoping to change that and explore more. We chose these personas because they represent a range of different types of people and personalities in our target market of young, budget travelers. 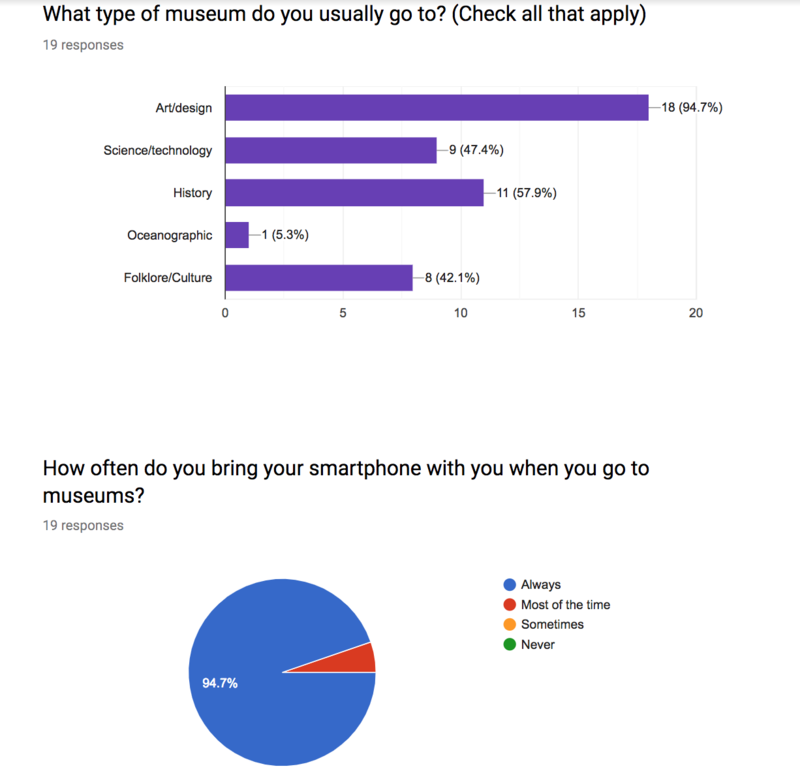 From frequent museum goers to those who only go a few times a year, our users are looking to get different things out of GUiDIO but share the commonality of the need for our app. As you can see, you’re prompted to login, then you can choose what museum you’re looking for and start the guide. Throughout the guide you are given the choice to “dive deeper” into topics that interest you, and when the guide ends you are asked to review the guide and go back to pick a different museum to explore. We actually ended up changing the look of our app quite a lot, but the original ideas are still there. Next, we had several students test the usability of our wireframe. 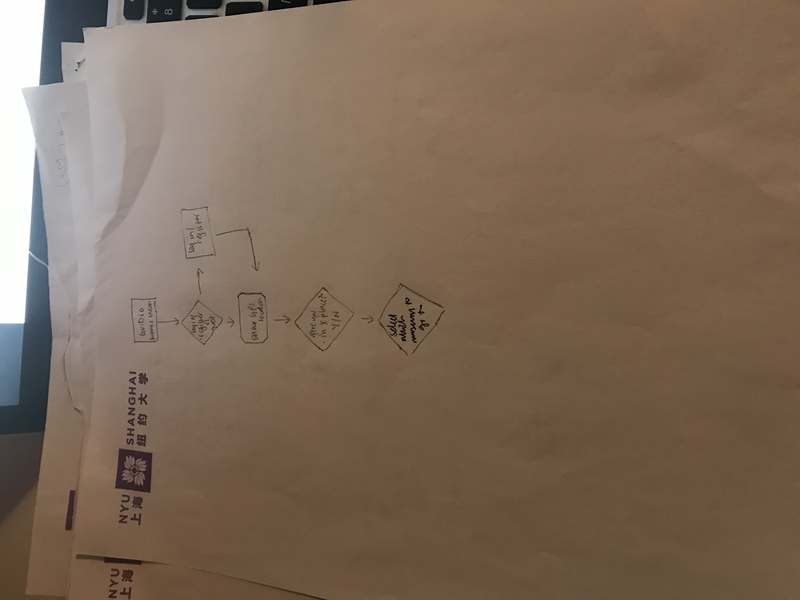 We did one trial usability test in class with Franklin, and we did four others outside of class; they were all students aged 20-22 from multiple countries and schools. It seemed like two common dislikes were the text and the sign in process with questions, which if there is two things wrong these are the ideal things as the text/font had not yet been chosen and the sign in process is generally not included as it can be extremely tedious. So then looking a the comments overall, it seemed a lot of people enjoyed the idea and considered using it. In terms of color scheme, we chose to play with blue and yellow because blue is generally calming and yellow is warm and happy, so I think given our slogan of “The Happy Traveler” it makes sense. To really get into and understand the theme we chose, we also made a Pinterest moodboard. 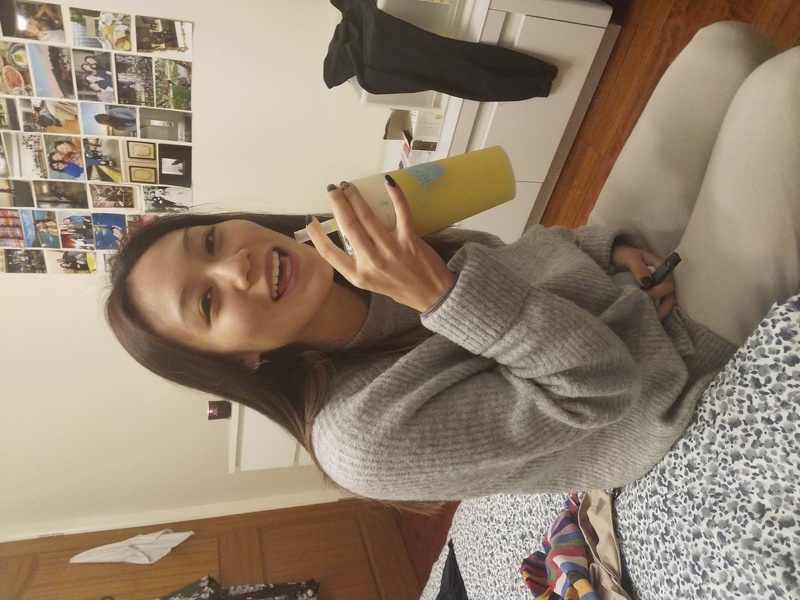 We included aesthetically pleasing photos of our color scheme of blue and yellow, and also looked at other apps and articles about solo travelling, beautiful museums, audio guides, etc. 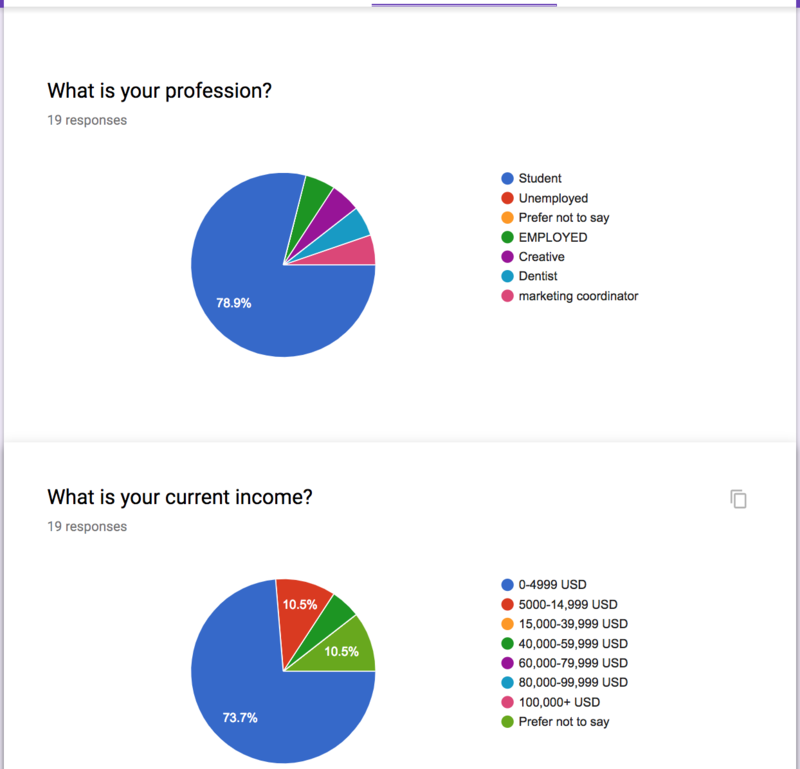 After some reviewing of the app and feedback from Professor Azure, however, we updated our mockup into the following (link to PDF of our final). We updated the look of some of the landing pages to have a bit more design, as well as added the feature of users earning points when they “dive deeper” into topics or listen to reviews to encourage them to come back and keep using our app. We also made an image using placeit.net to better visualize what our product might look like.